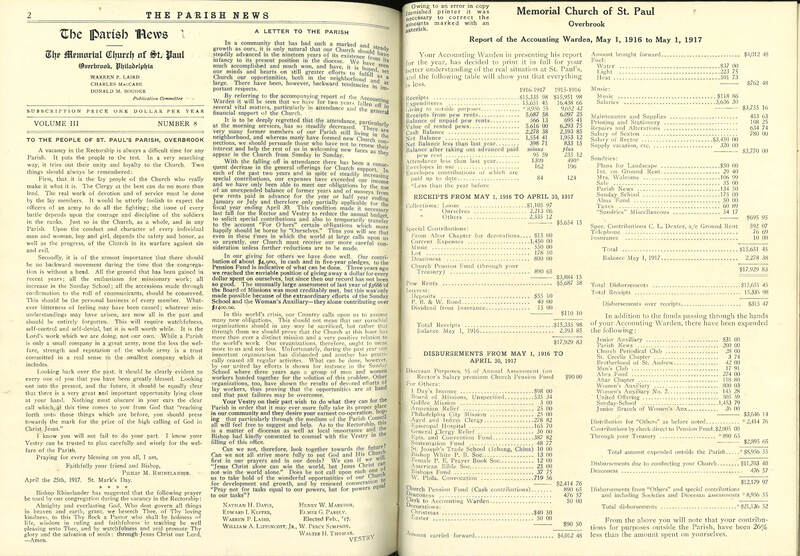 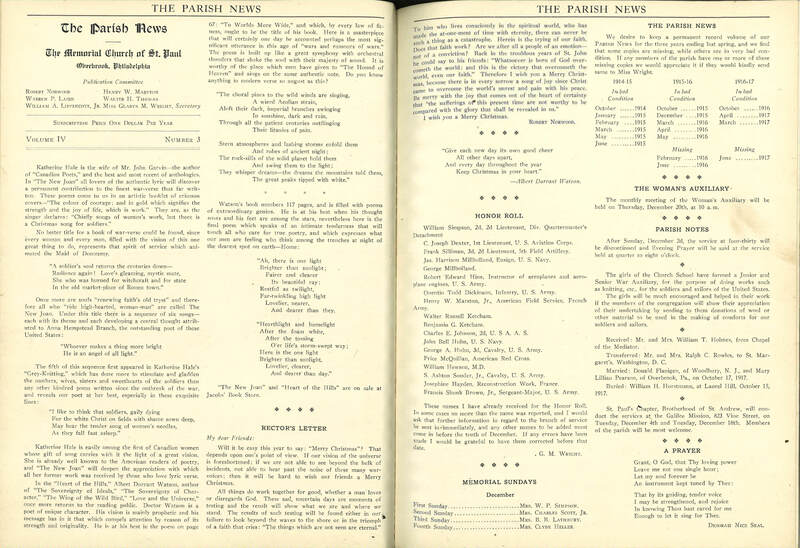 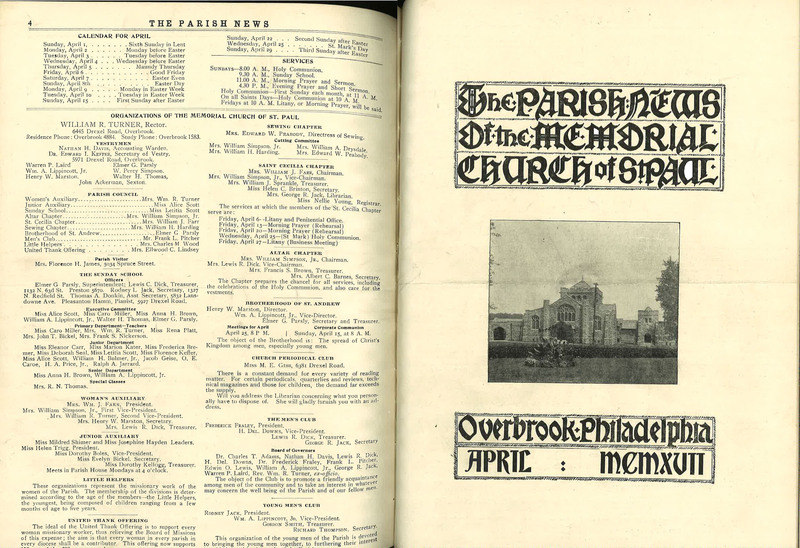 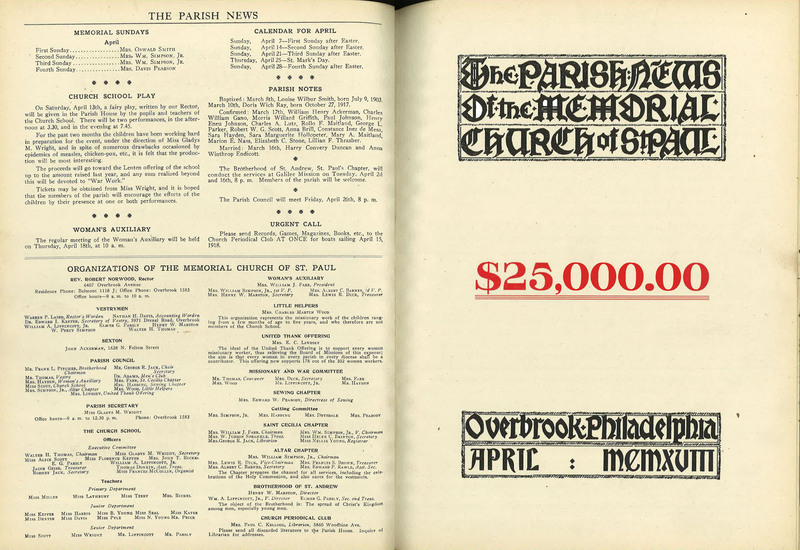 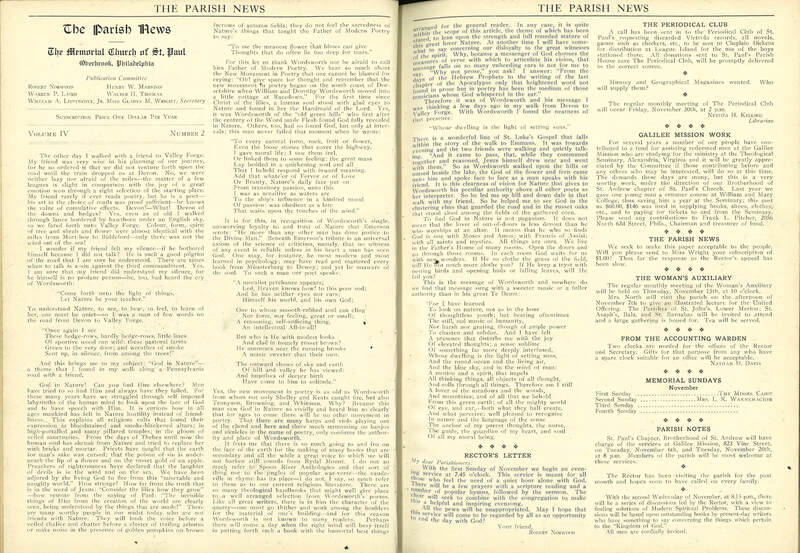 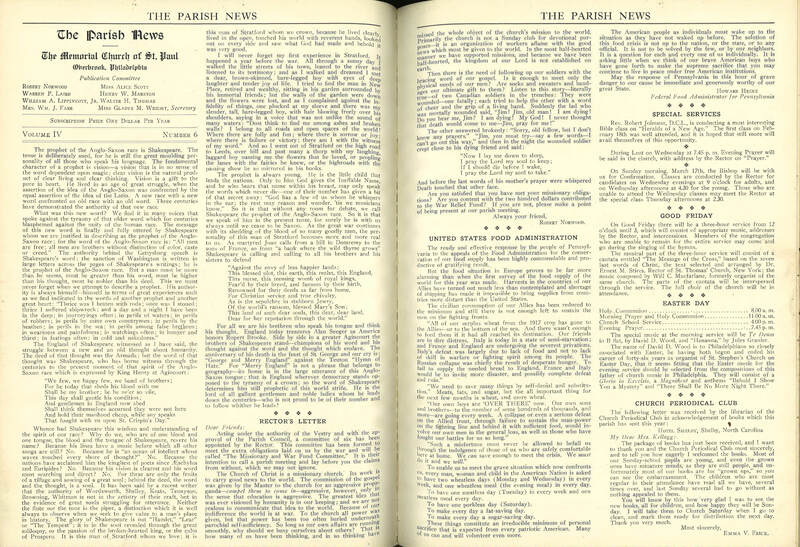 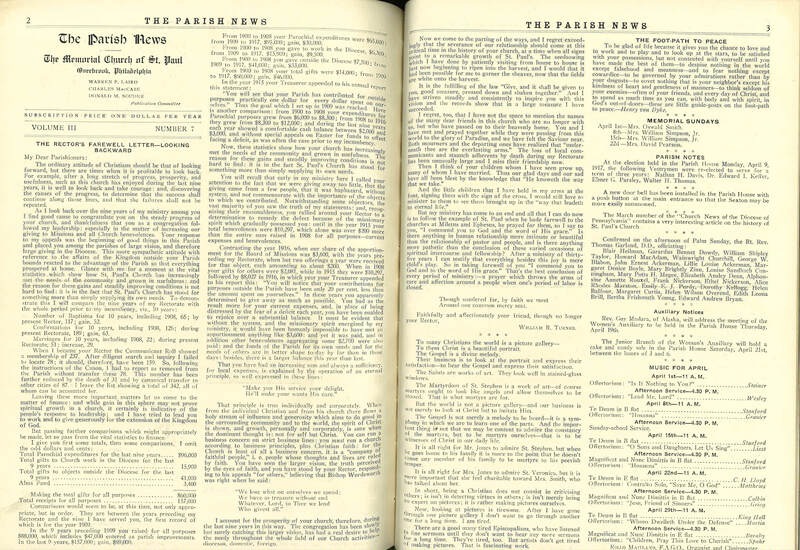 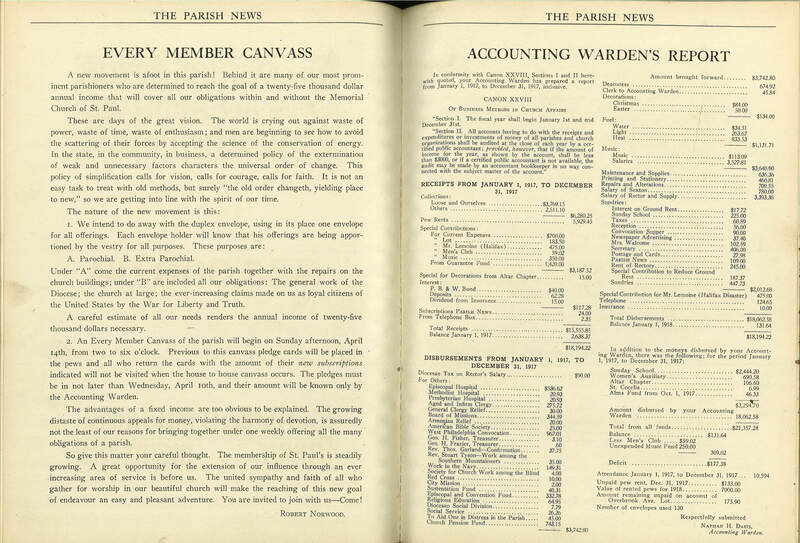 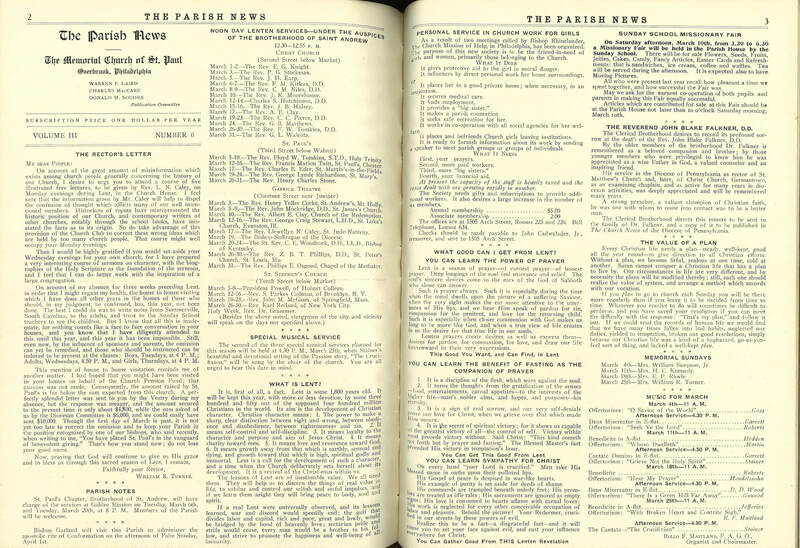 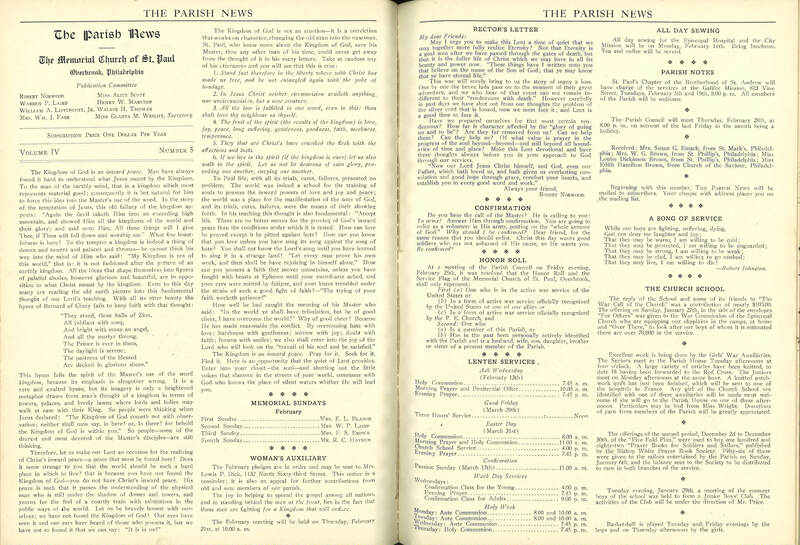 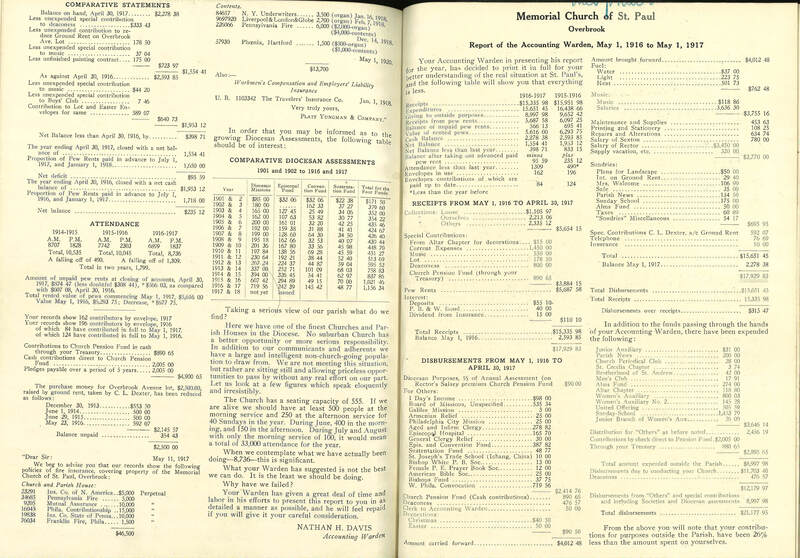 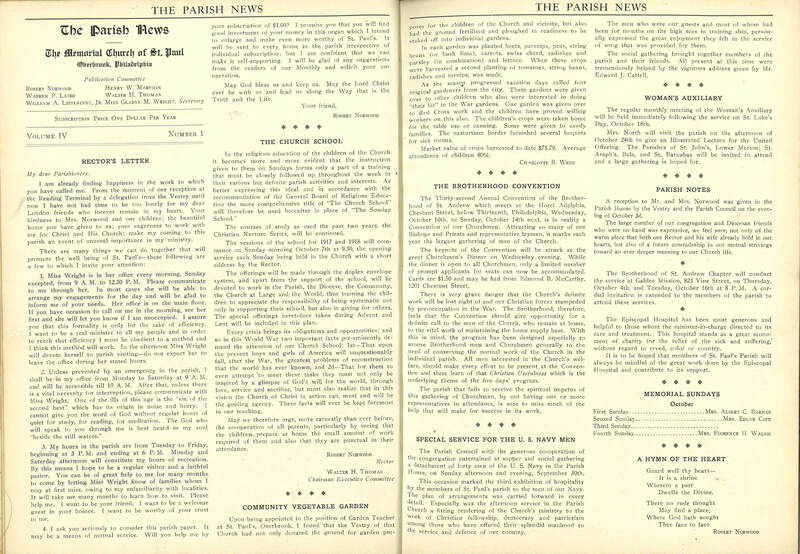 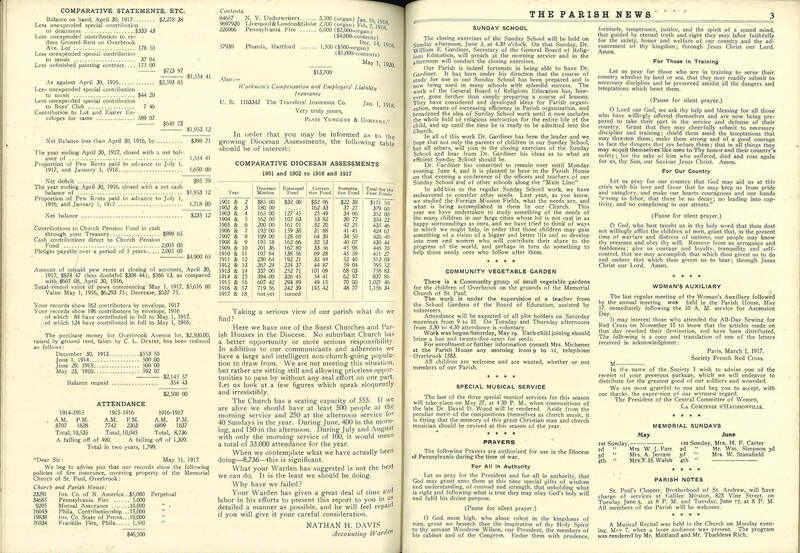 This entry was posted in Memorial Church of St. Paul (Overbook) and tagged Overbrook, Parish News of the Memorial Church of St. Paul Overbrook, West Philadelphia, William R. Turner on April 6, 2019 by mjk38. 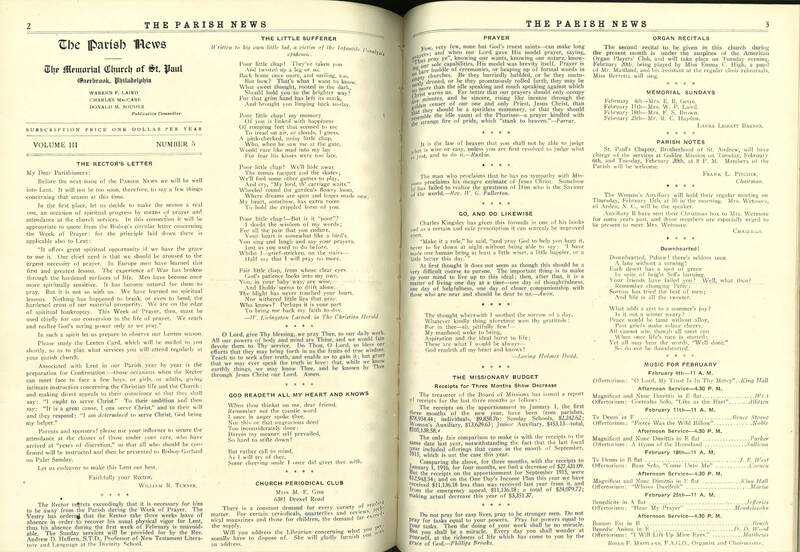 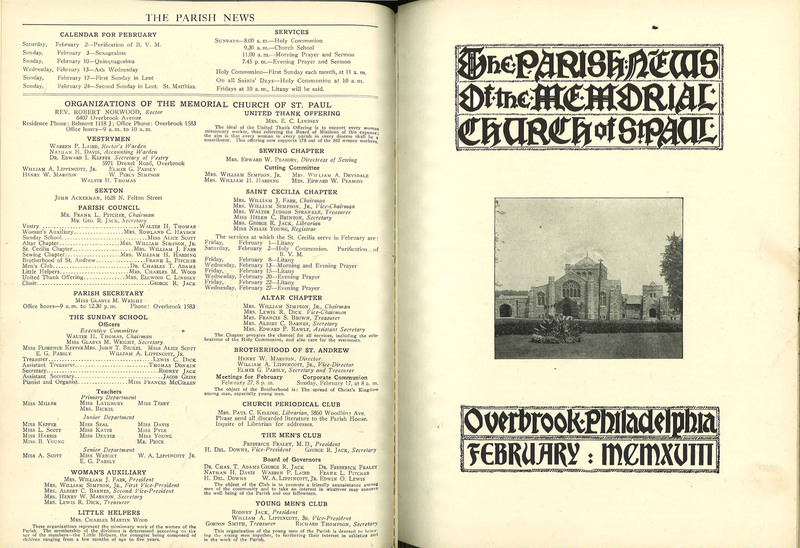 This entry was posted in Memorial Church of St. Paul (Overbook) and tagged Overbrook, Parish News of the Memorial Church of St. Paul Overbrook, West Philadelphia, William R. Turner on February 8, 2019 by mjk38. This entry was posted in Memorial Church of St. Paul (Overbook) and tagged Overbrook, Parish News of the Memorial Church of St. Paul Overbrook, West Philadelphia, William R. Turner on December 6, 2018 by mjk38. 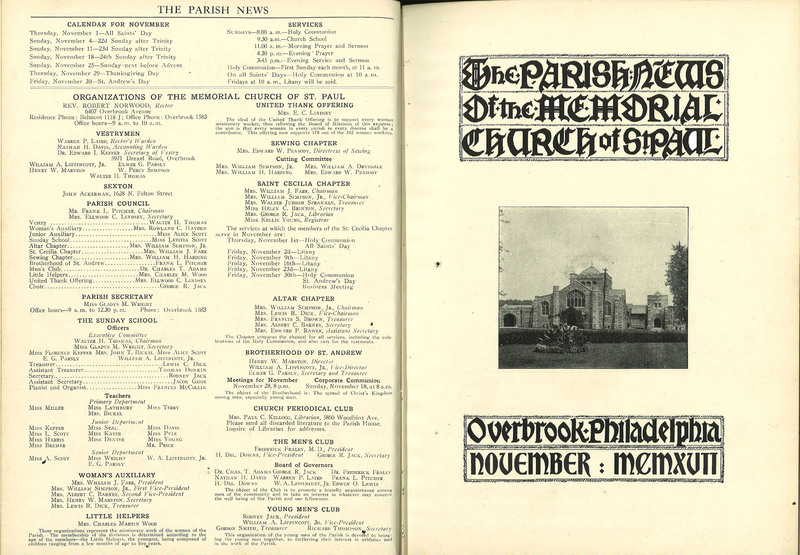 This entry was posted in Memorial Church of St. Paul (Overbook) and tagged Overbrook, Parish News of the Memorial Church of St. Paul Overbrook, West Philadelphia, William R. Turner on November 2, 2018 by mjk38. 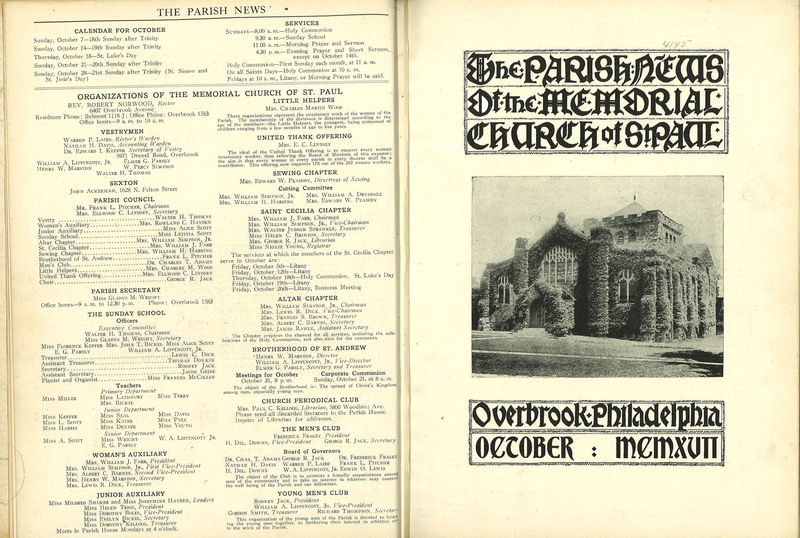 This entry was posted in Memorial Church of St. Paul (Overbook) and tagged Overbrook, Parish News of the Memorial Church of St. Paul Overbrook, West Philadelphia, William R. Turner on October 1, 2018 by mjk38. 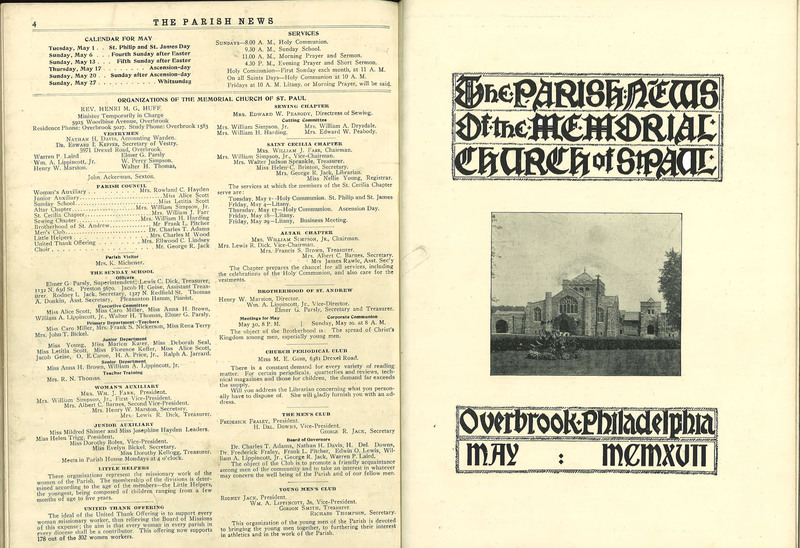 This entry was posted in Memorial Church of St. Paul (Overbook) and tagged Overbrook, Parish News of the Memorial Church of St. Paul Overbrook, West Philadelphia, William R. Turner on May 11, 2018 by mjk38. 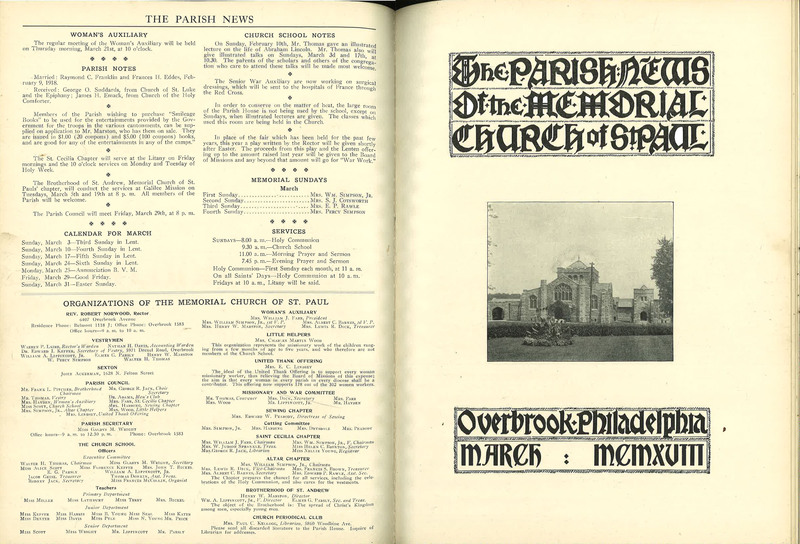 This entry was posted in Memorial Church of St. Paul (Overbook) and tagged Overbrook, Parish News of the Memorial Church of St. Paul Overbrook, West Philadelphia, William R. Turner on March 30, 2018 by mjk38. 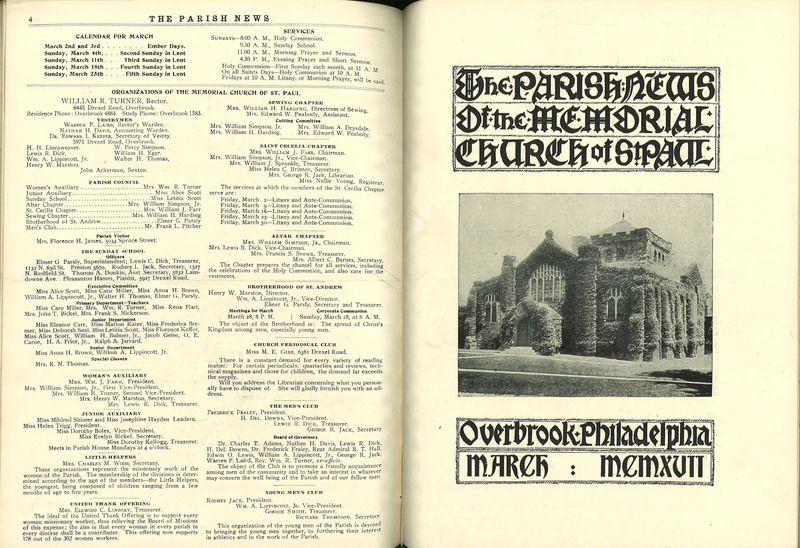 This entry was posted in Memorial Church of St. Paul (Overbook) and tagged Overbrook, Parish News of the Memorial Church of St. Paul Overbrook, West Philadelphia, William R. Turner on March 10, 2018 by mjk38. 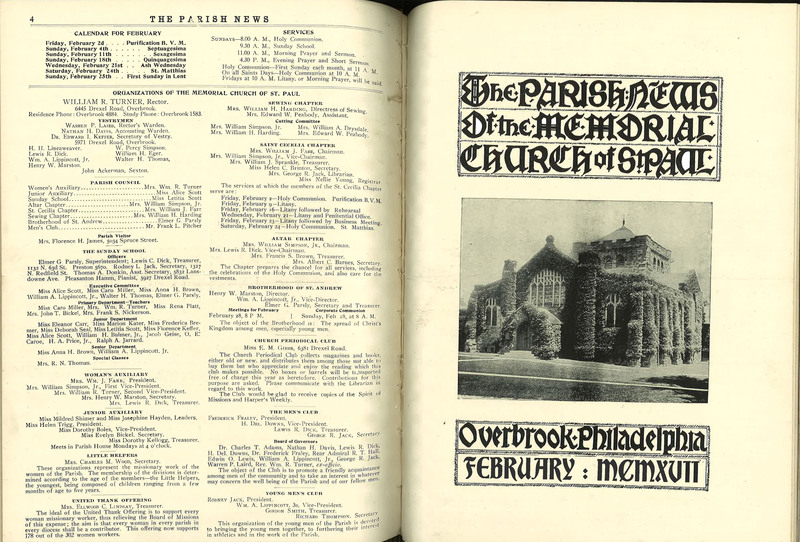 This entry was posted in Memorial Church of St. Paul (Overbook) and tagged Overbrook, Parish News of the Memorial Church of St. Paul Overbrook, West Philadelphia, William R. Turner on February 3, 2018 by mjk38.